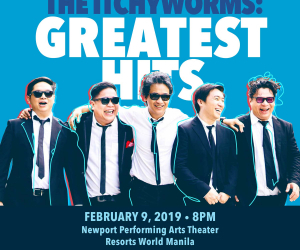 Ely Buendia and the Itchyworms—Jugs Jugueta, Jazz Nicolas, Kelvin Uy and Chino Singson—are currently preparing for their first big concert together at the Newport Performing Arts Theater, Resorts World Manila on February 9, 2019 / 8PM. The upcoming show is but another highlight in the creative collaboration collectively known as EB x IW. Their partnership arguably took root as early as the late 90s, when Buendia lent some help for the Itchyworms’ first offering “Revenge of the Unsigned” and asked them to contribute to the Domino debut album, “Fair Tales.” ‘Itchyworms drummer Nicolas would also take on keyboard duties for both iterations of the Eraserheads’ Final Set reunion concert in 2008 and 2009. But it was in 2016 that the camaraderie between the musicians would advance and produce something original. “Pariwara,” a verse and chorus which Buendia had left over, would be completed by the Itchyworms after what Jugueta described as three years’ worth of pangungulit. That would soon be followed by “Lutang”—another unfinished verse-chorus idea of Buendia which found its full expression once the Itchyworms had a go. Both songs would eventually be released as a limited 7” vinyl single on Record Store Day in 2017 under Buendia’s label Offshore Music. This only spells good things for the group’s first major outing as a creative unit. Past EB x IW performances demonstrate that the songwriting synergy translates well on stage. Both are of course seasoned live acts by themselves. But it’s definitely a whole different show when they’re together, riffing off of each other. A set list has yet to be finalized for the gig on the 9th of February. But if the Lutang MV launch and Record Store Day 2018 performances are any indication, one can expect a few Beatles covers, a rendition of Bowie and Mercury’s “Under Pressure” (with matching Vanilla Ice breakdown), and of course some renditions (possibly reimaginings) from the Eraserheads and Itchyworms songbooks. Perhaps new EB x IW material is on the offing. Collaborations have led to many memorable moments in rock n’ roll history before—including Eric Clapton laying the rock guitars to George Harrison’s “While My Guitar Gently Weeps,” Rick Rubin convincing Aerosmith to let Run D.M.C. to rap over their 1975 hit “Walk this Way,” and Dave Grohl taking a break from the Foo Fighters to hit the skins for the seminal “Songs for the Deaf” that propelled the Queens of the Stone Age to stoner rock stardom. 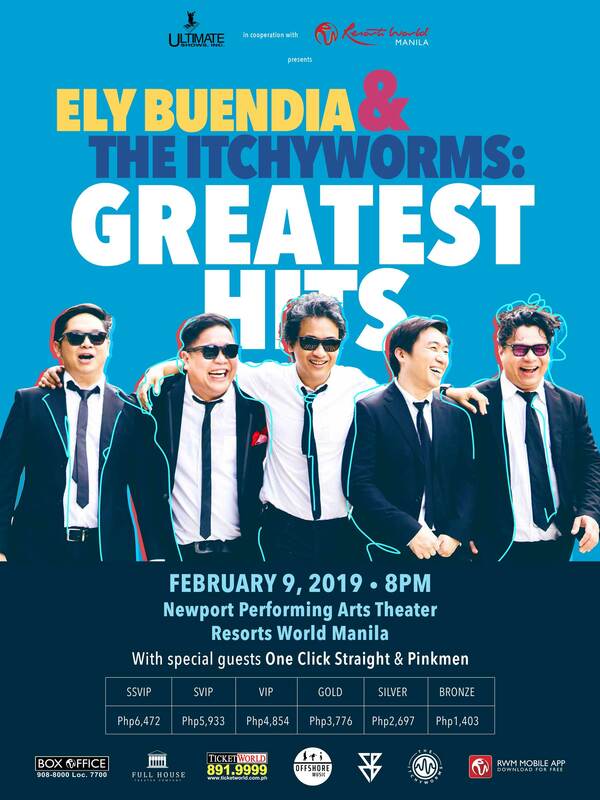 History may or may not be made when EB x IW take to the stage on February 9, 2019. But considering it will be the first time they do so at such a huge scale, Filipino rock fans everywhere can surely look forward to something memorable.